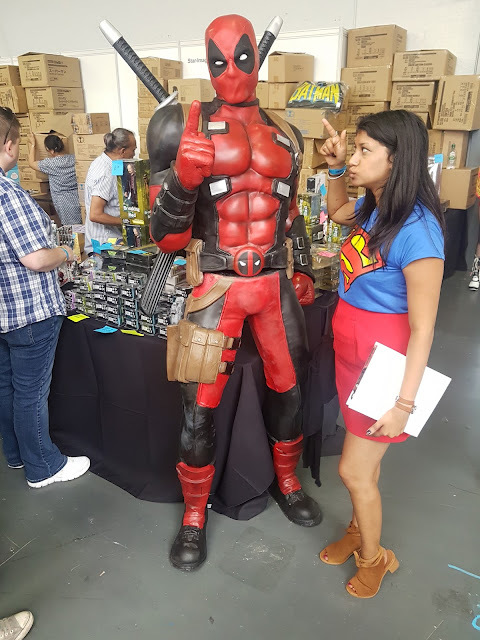 I recently went to a comic book convention: Heroes & Villains Fan Fest, where my nerdy passion really got to come out. I'm a huge fan of shows like Flash, Arrow and of course Super Girl is my favourite. And of course, I decided to dress up like her. I didn't go all out with the costume as I had plans after and wanted a versatile look. It was nice seeing some of my favourite characters in person, and lots of people that dressed up did such an amazing job. 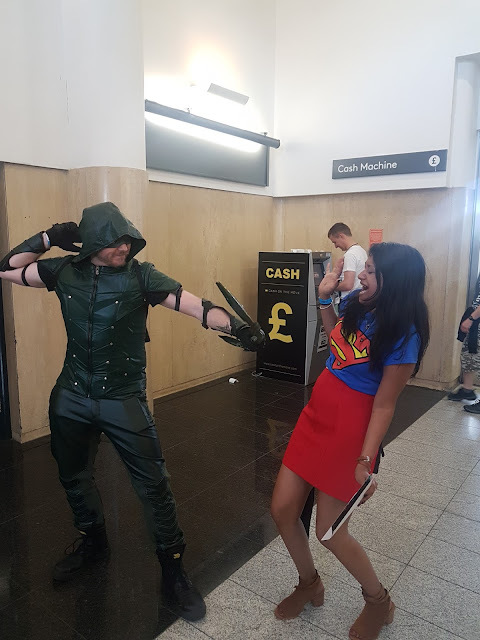 Like the guy above who had this ace Arrow costume. 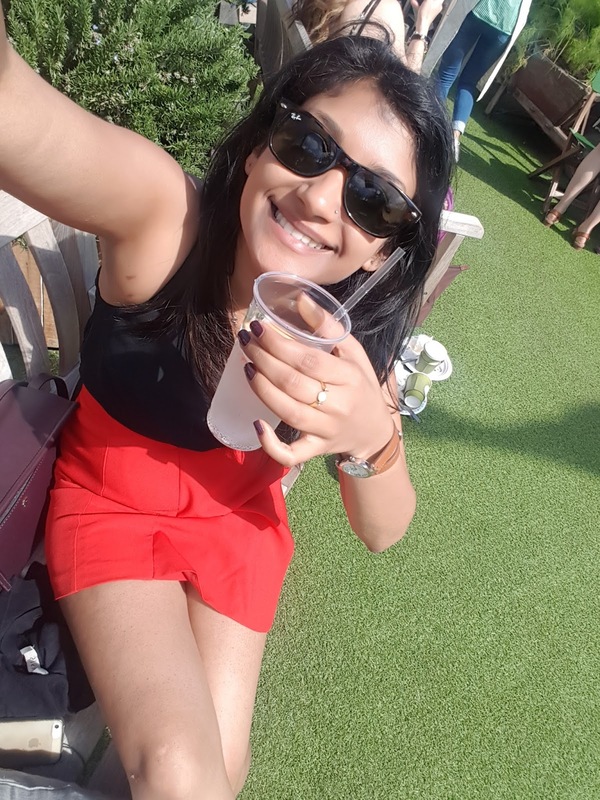 And as mentioned earlier, I had plans after, so all I did was wear this black top underneath and took off the t-shirt for lunch. OMG such a cute idea for a modern-day Supergirl look!